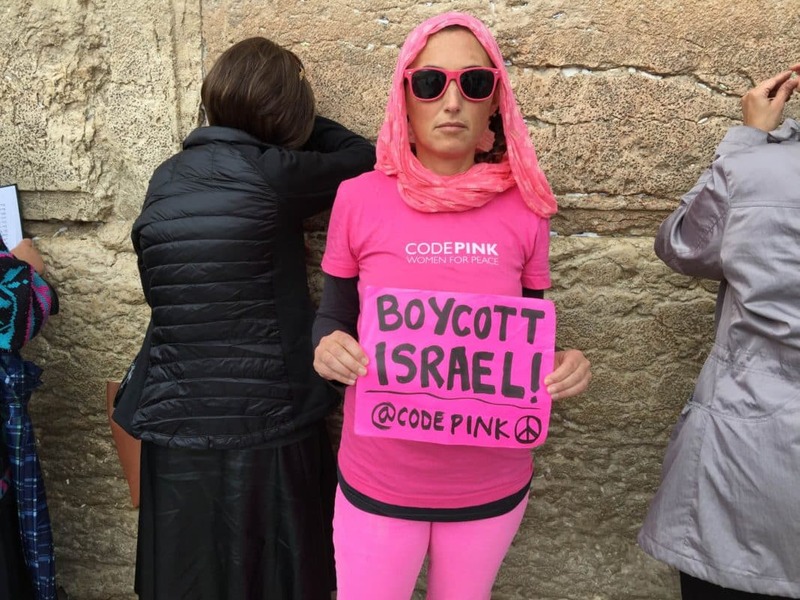 JERUSALEM – On Tuesday, November 10, 2015 at 11:30 am, Jewish Americans CODEPINK activists, Ariel Gold, of Ithaca, NY and Ariel Vegosen, of Oakland, CA, unfurled a banner near the Kotel (Western Wall) reading, “American Jews support BDS.” Representing the women’s peace organization, Code Pink, the activists goal was to express Jewish opposition to the Israeli occupation of Palestine and endorse the Boycott, Divestment, and Sanctions movement as a nonviolent strategy to bring about a just peace in Palestine and Israel. 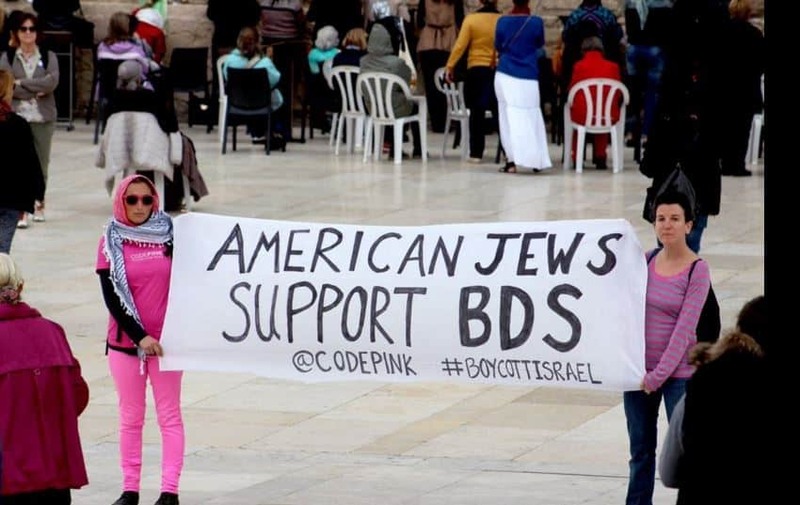 Because nothing says “boycott Israel” like getting on a plane and travelling to Israel. 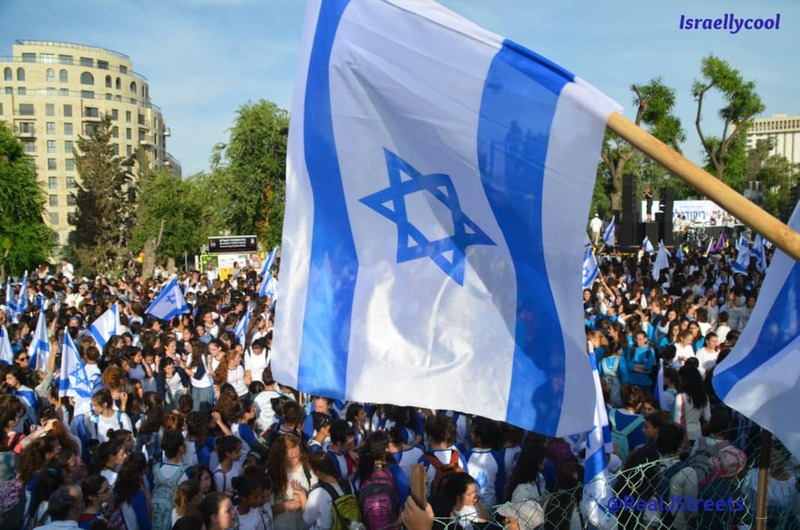 And I suppose while in Israel, they boycotted Israeli food and accommodation. Thank goodness our enemies are so stupid. 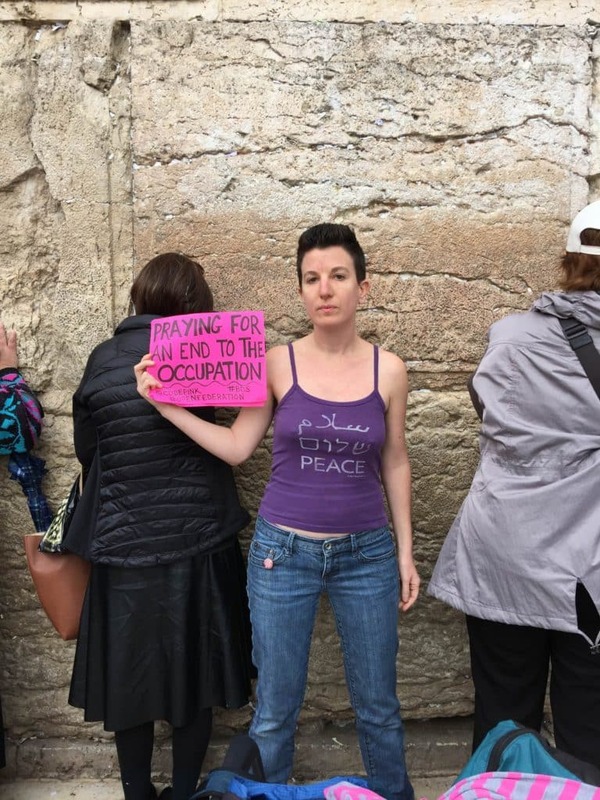 Another good point raised by many of you – let Ms Purple Shirt try dressing like that in front of Al Aqsa Mosque. Or in Gaza. Update: My latest post on Ariel Gold.